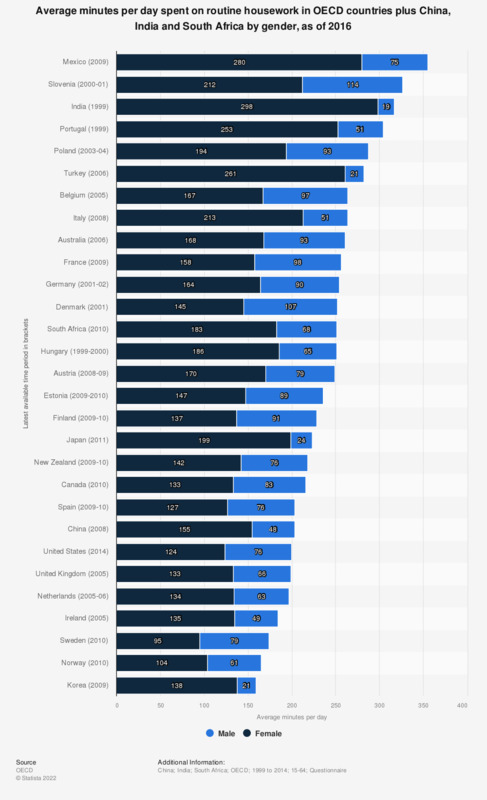 This statistic provides a comparison of the average amount of time spent on routine housework by gender in OECD member countries as well as China, India and South Africa. As of 2016, Portuguese men spent 51 minutes per day on unpaid work on average while for women the average was 253 minutes. Are you a member of a non-governmental organization focusing on security, defense, international peace work or social care?